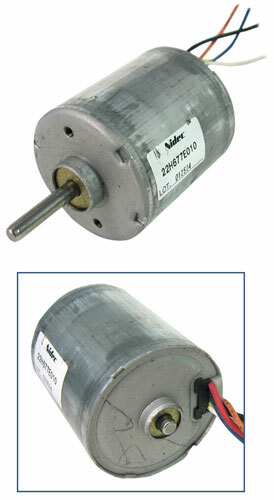 These brand-spanking new 12VDC motors are made to move automobile seats but are willing to change. 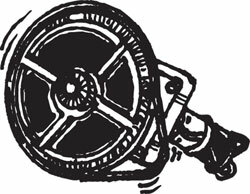 They spin at approx 190 rpm, draw 1.5A no load, and stall at approx 25A. Threaded shaft is at a right angle and is 4-1/8" x 7/16". 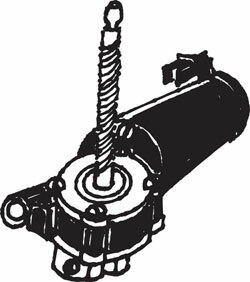 Shaft thread is non-standard, so treat it as a smooth shaft and mount pulley or gear with a setscrew. 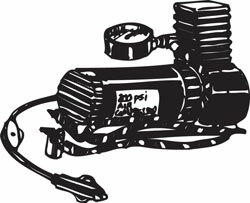 Measures 5-5/8" x 2-1/2" x 2-1/2" overall, not counting the shaft, and has power terminals opposite the gearbox with (2) 1/4" mounting holes opposite the shaft. 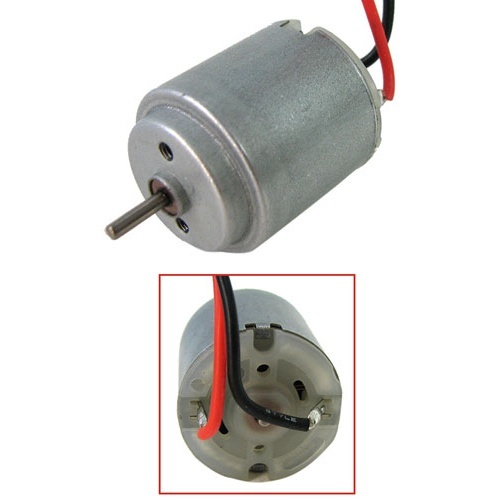 This little 1.5-3VDC motor draws just 15mA no load, which means it's just the ticket for solar-cell applications. 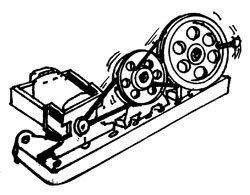 At 3VDC it spins approx 600 rpm and stalls at 125mA. Measures 1-1/8" long x 15/16" dia with a 5/16" long x 1/16" dia shaft and 3-1/2" leads. 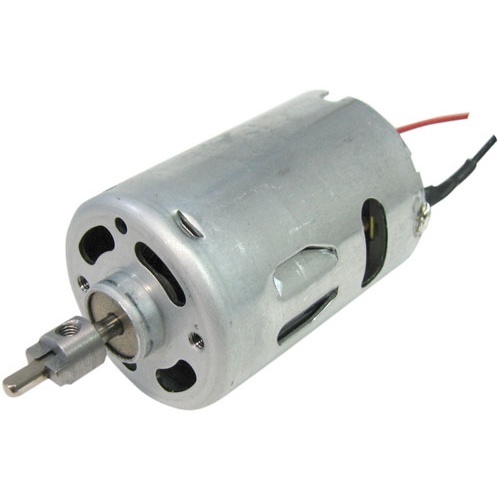 This torquey take-out 6-24VDC (12VDC nominal) motor draws approx 250mA no load, stalls at 7.2A and spins approx 5700 rpm. 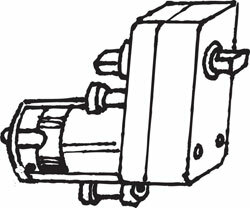 Measures 2" x 1-13/32" with a 3/4" x 1/8" flattened shaft and may have a setscrew-mounted coupler that resembles a router bit. Has prewired leads. Mabuchi part no. RS-545SH. 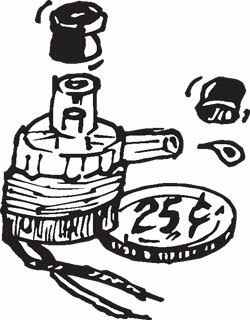 Well, the pretty nice seven, anyway, in this 7-blade muffin fan, measuring 4-3/4" sq x 7/8" and drawing 280mA at 12VDC. 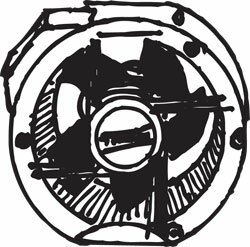 Spins approx 2000 rpm and pushes approx 74cfm. 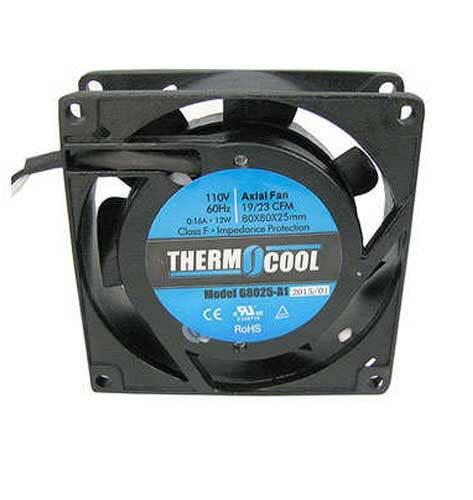 Comes with 8" leads and 3/16" mounting holes at the corners. Velleman® part #BLS 12/120. 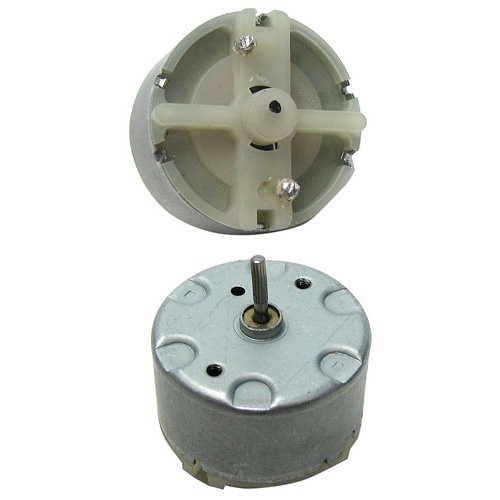 Attention robotics boffins: Here's a nice, powerful 12-24VDC Mabuchi brush motor with a gearbox and pulley attached. 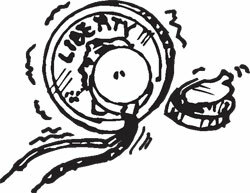 At its nominal 24DC, it spins 45rpm, draws 280mA no load, and stalls a 750mA. 7.5 in-lbs of torque and is rated for continuous duty. 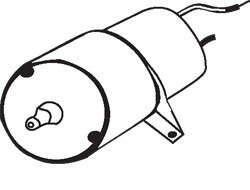 Has a 3/4" long x 5/16" flattened shaft with a 4-5/8" dia x 5/16" wide (3/16" ID) single-sheave pulley attached, with a matching O-ring. 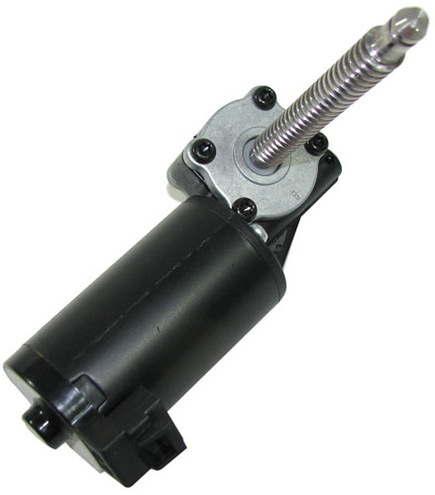 The gearbox measures 2-3/4" x 3" x 9-1/16". 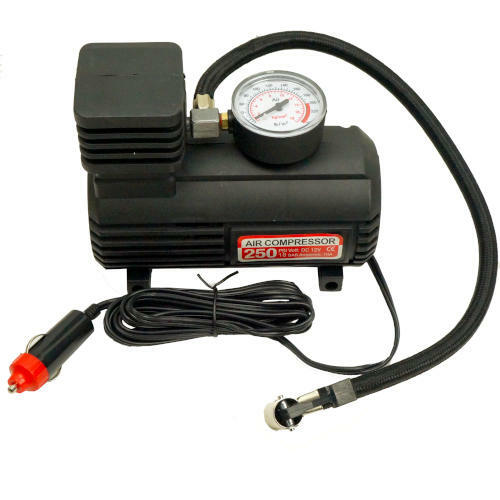 The motor measures 1-1/16"dia x 1-5/8" long and comes with 7" leads and a 2-pin Molex connector. How About A Little Service? 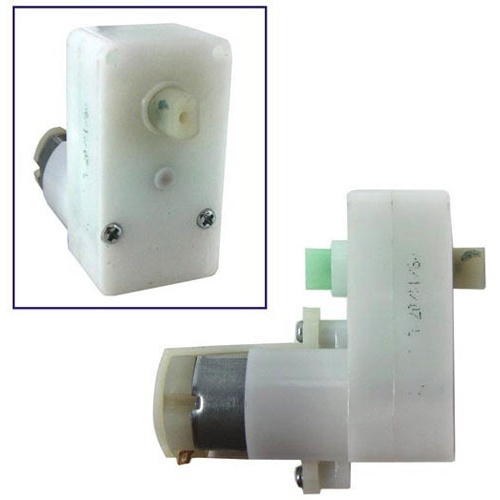 This tiny servo motor can swing approx 90 degrees in either direction via any of the (3) included servo horns with screws on the 3/16" toothed shaft: a 13/16" long single horn, a 1-5/8" long double horn or the 1-5/8" long double horn with (2) smaller cross horns. 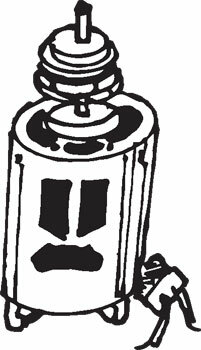 Draws between 220 and 650mA at 5VDC, and is rated for 25 oz/in of torque. Measures 7/8" x 1/2" x 1-1/16" deep with a pair of mounting wings with 1/16" bores. Wiring is 5V to red, ground to brown and timing pulses to orange. Use any 1-2ms pulses at 50Hz. 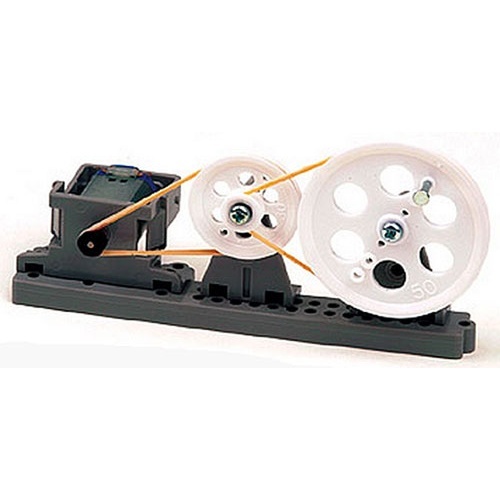 Nice little pulley unit kit includes (1) pulley each at 50, 30, 25 and 20mm and (3) pulleys at 11mm, plus myriad bushings, a 3VDC motor, (2) belts and a belt guide, base, mounts and assorted hardware. 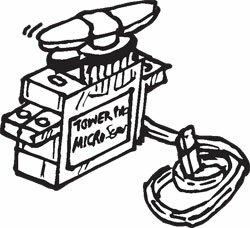 Includes graphic assembly instructions, plus a couple of rudimentary drawings with suggested projects. It's a mechanical science project waiting for a home. 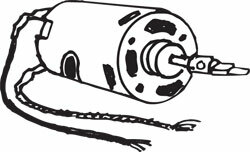 Little takeout 3-6VDC Mabuchi motors (6VDC nominal) spin approx 4000 rpm and draw 50mA no load. 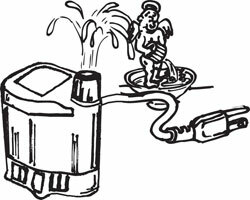 Stall at 300mA and measure 1-1/2" long x 1-1/16" dia with a 1/2” long x 3/32” dia shaft with a 2-sheave 9/16” dia pulley. Sheaves are 1/16” ID. Wired with 2” leads for super easy battery or wall adapter hook up. 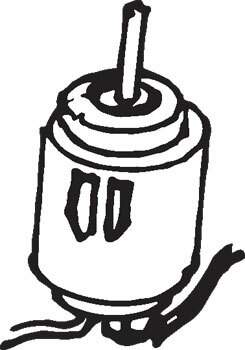 These were originally from copiers so you'll want to wipe 'em down before use. Remember those old school vibration football games, or those fantastic days-of-yore vibrating beds in roadside motels? 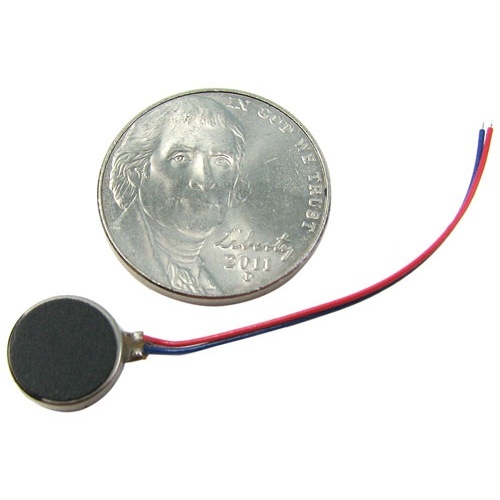 This is like that, a small vibration motor (10mm dia x 2.5mm) that’s touch-sensitive and produces a pleasant buzzy response. 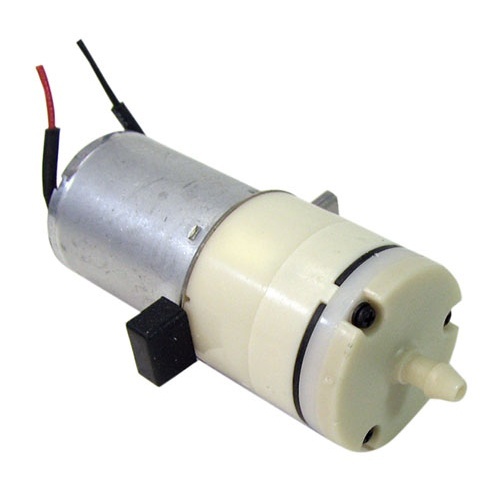 Motor has 1-1/4" power leads, draws approx 60mA at 3VDC. Has 0.75g vibe amplitude. Self-adhesive pad on one face. No shaft. 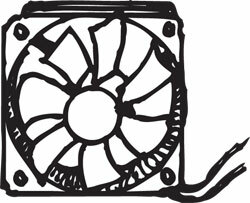 Our special Little-Fans-R-Us offering. All these muffin fans are square and all have mounting holes at the corners. Pick and choose the one you want or take a chance on the takeout assortment. 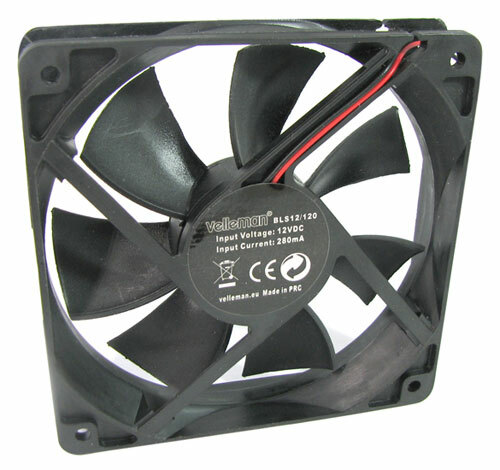 (Assortment will not have fans listed in the table above) Please note that the assorted fans are takeouts and will have at least have least two different fans from different manufacturers but maybe the same size. It will be a crap shoot as to what you will receive. 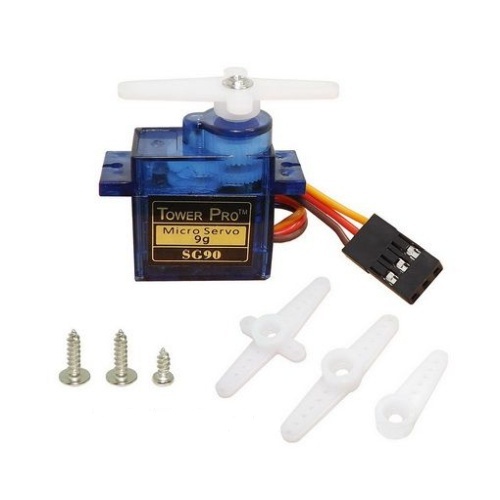 Nifty little DC motor will run from 1.5 to 12VDC (think: a single AA battery), but at 6VDC will draw only 2mA, stall at 45 and spin approx 400 rpm. 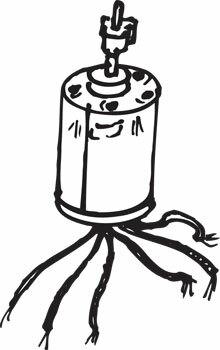 At 12VDC it draws close to 3mA, stalls at 90mA and spins approx 950 rpm. 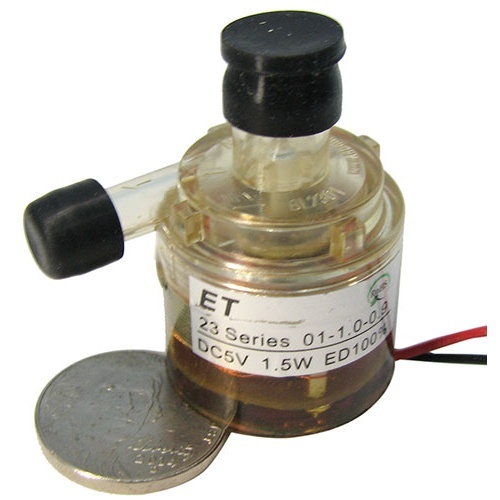 Nominal 6VDC. Measures 1-1/4” dia x 7/8” with a striated 1/16” dia x 3/8” shaft. Solder tabs are on the bottom. 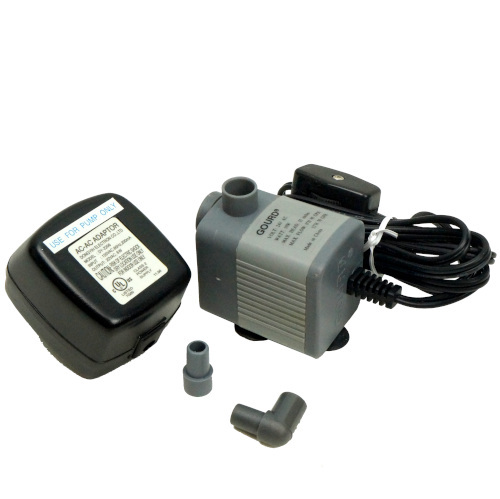 Great solar project motor. Great for roboticists, too. 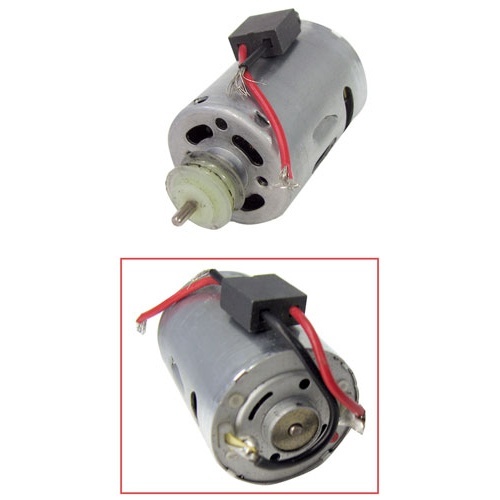 It's a mighty-mite, this little 6VDC 45 RPM motor with a right-angle gearbox. Draws 13mA, no load, and stalls at 120mA. Output is through (2) double-flattened 1/4" dia x 3/16" long shafts on opposite sides of the white plastic housing, both with 1/16" dia center holes. Measures 1-7/8" x 7/8" overall. Gear ratio is 228:1. 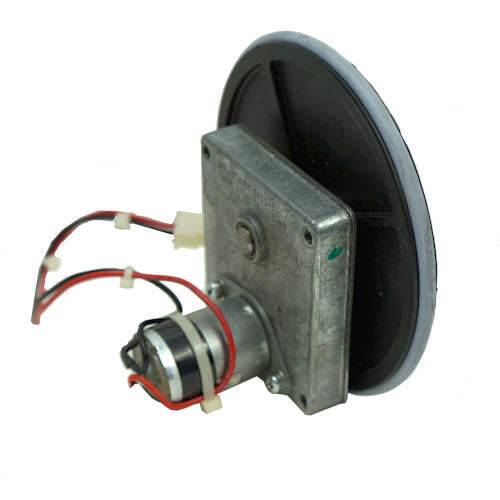 This 3-phase brushless 12VDC motor from Nidec draws 2.5A max through the red and black leads with what we think are coil taps, and Hall effect outputs through the other (4) leads. Measures 36mm (1.4") dia x 40mm (1.6") long with a 4mm (0.16") dia x 19mm (0.75") shaft with a removable cam. Includes a spec sheet. Have You Seen The Muffin Man? Muffin fans, pay attention. 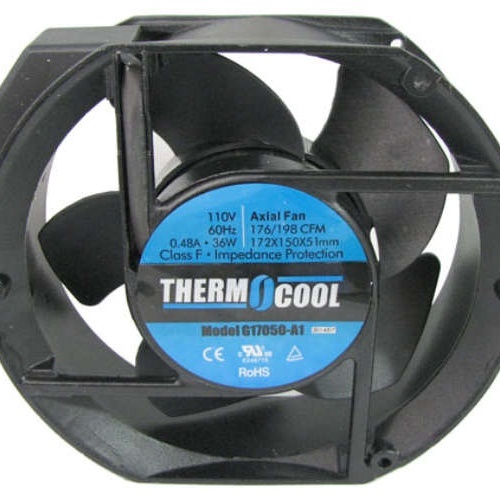 You pick the "nice" 110 VAC 21W fan from Thermocool, measuring 4-3/4" square x 1-1/2" thick with an offset two-pin power connector, rated for 82-95 cfm and spinning at approx 2600 rpm, with five blades and 3/16" mounting holes at the corners (Mfr part # G12038HA1ST); or the "beastly" 110VAC 36W muffin fan from the same mfr, which blows up to 198 cfm at 2900 rpm and measures 6-3/4" x 6" tall x 2" thick with (2) power terminals on a removable shroud, 5 blades, 5/32" mounting holes on the corners plus a ground lug. Both UL.